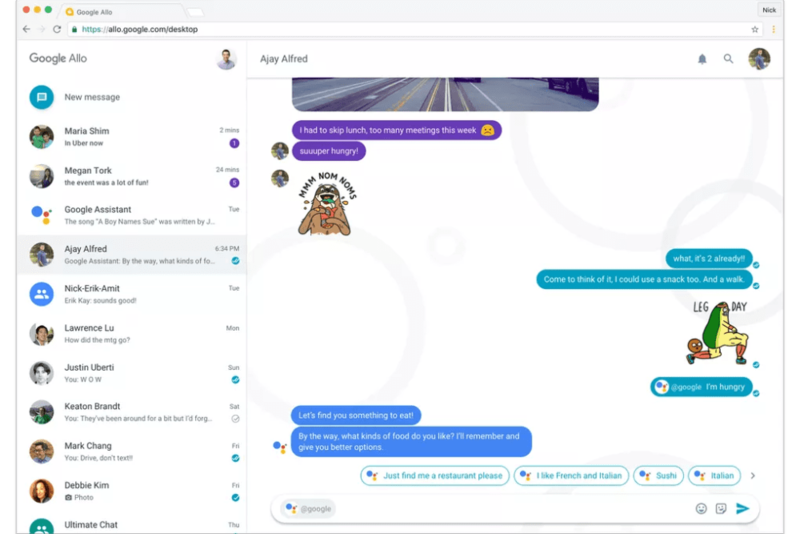 Google Allo To Get A Desktop Version, But When? When Google announced Allo at I/O in May 2016 alongside Duo, the video chatting app, there were immediate questions. Would it replace Hangouts? Would SMS be supported? Would desktop be supported? At least one of those is being addressed now. For me, Allo is a fine messaging app. It does an OK job of getting text messages from one person to another, but there is one thing that is an issue: the fact that no one I communicate with uses it. Most of my IM communication happens in Hangouts, and there’s nothing really wrong with it. Allo does add some fun features that I’d love to take advantage of, but again, no one I regularly talk with uses it or they already use Hangouts. One of the biggest hangups everyone I know has with it is the lack of a desktop app. When you become used to messaging apps working on desktop and phone/tablet alike, it seems like a MAJOR step backward to lose that feature. Hence, one of the biggest barriers for adoption for many people (including myself) has been this missing feature. In a tweet from Nick Fox, Google VP of Communications, we finally get some signs that Allo is headed to desktop. There are a few things we can gather from this tweet and screenshot. First, this is in “early development.” That means we won’t see it for a little while. We can only guess how long that could be. Second, it is a web-app. Think something like the way hangouts.google.com or the Hangouts extension work. This will likely not be a download/install kind of setup. Third, Google Assistant looks to be on board. We’ve talked about Assistant coming to Chromebooks, but this could be the earliest arrival of Assistant on desktops. We’ll just have to wait and see how long both of those projects take. To be honest, Google waited WAY too long to start this project. We are 9 months past Allo’s introduction and apparently still months away from seeing a desktop solution. Sure, tying Allo to a phone number gives the setup a much simpler path, but not figuring out how to bring that experience to the desktop has proven a massive fail. Like it or hate it, iMessage had this solved long ago. Bringing Allo to market without this has been a big reason, I believe, that users have tanked out in the past few months. We won’t do more than mention the lack of SMS support here, but that combined with a desktop component could right the ship: but they need to move and move fast. Google or not, all apps have windows for success. I fear Allo’s is closing fast. Google may be all-in on Allo, but that doesn’t mean users are.